So, you’re looking to start your own independent travel business. Maybe you already have travel industry experience and are interested in being your own boss, or you’re new to travel and are ready to jump into this exciting industry but aren’t sure where to start. Either way, it’s important to know what your options are. When you’re at the starting line, you’ll have to decide if you want to venture out and do it all on your own or boost your chance at success by having the support of an entire network behind you. By joining a host agency, you can gain instant access to numerous resources you’ll need to get started in the industry or to take your existing business to the next level. According to a recent Phocuswright report, the number of travel advisors affiliated with a host agency has doubled in the last decade. Why are travel advisors affiliating their businesses with host agencies rather than going into business on their own? There are many key factors, but ultimately, agents want to stay true to themselves and their business, while capitalizing on the resources a host agency provides to be more efficient, and of course, more profitable. —Cost – Agencies can’t always afford all that a host can provide, so by joining a network, they don’t have to worry about paying for their own marketing, technology and other resources. —Commission Rates – Affiliated agents can earn commission rates around 16 percent or higher, based on the sales volume of the host network, compared to just 10 percent on their own. —Support – With the backing of a host agency network, agents will never feel alone or have questions left unanswered. —Growth – Since host agencies save members time and money, agents can boost their sales at a faster rate than going at it alone and simplify their daily business tasks. You may be wondering, “If I’m affiliated with a network, will I truly be independent?” The answer is YES! You will 100 percent own your own business, and still have the flexibility and independence you desire. By joining a reputable host agency, like Avoya Travel®, you’ll still have the freedom to run your business your way, on your terms, but with all the added advantages that can only be accessed by partnering with a travel network. Independent Agencies in the Avoya Network™ have access to exclusive offerings that help them save both time and money, work more efficiently and see greater success than ever before, including new clients sent directly via Live Leads™, industry-leading technology, continuous professional development, unparalleled support and more. In short, one person can’t do it all by themselves. A host agency enhances what you already do, or helps you ease into the industry, and can only make running an independent travel business easier. 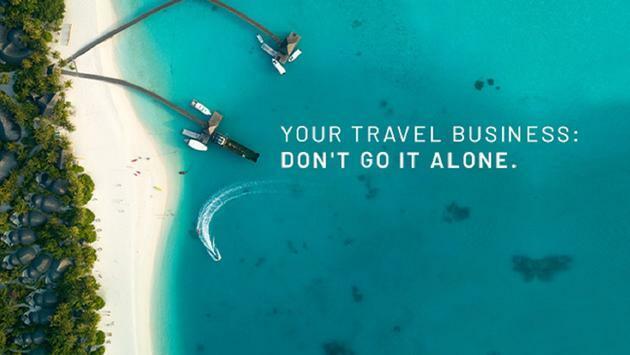 For more information on how Avoya’s exclusive offerings can help your travel business succeed, call 1-888-425-6078 or visit www.JoinAvoya.com today!